A great gift to receive, a perfect give to give! 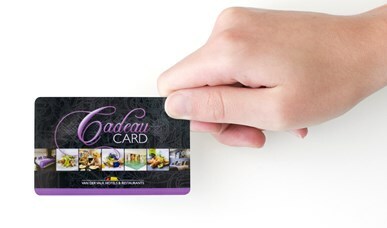 With our gifts cards the person who is receiving it can enjoy a nice meal, a lovely overnight stay or use it in multiple hotels with their own wellness facilities. 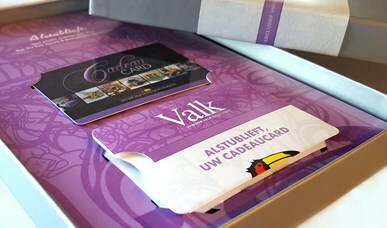 You can choose to pay your stay or restaurant bill with our Valk Gift card. The Free Value Gift Card can be upgraded for any amount starting from €5,- up to €250,- and everything in between. The Van der Valk Gift Cards are valid indefinitely and always exchangeable in every Van der Valk hotel and/or restaurant worldwide. Personalizing your gift card can be done while purchasing them. Many extra’s can be added for many different purposes.